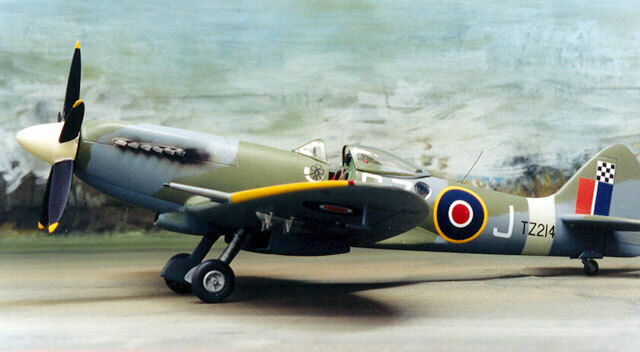 This is my 1/48 scale Supermarine Spitfire FR Mk.18 which I built using the old Falcon vacform kit. This model was finished with a conglomeration of parts from various scrap kits. Firstly, I was able to use a set of wheel wells, undercarriage legs and wheels from an old Tamiya Mk. Vb kit. 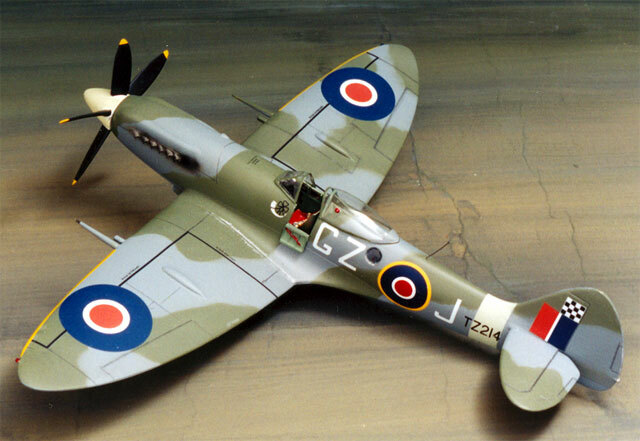 The three-spoked hubs are from the Hasegawa Spitfire IX kit. The guns are hand-turned from brass using a watchmaker's lathe. The cockpit is mostly Waldron, with Reheat metal seat and an Eduard coloured seat harness. 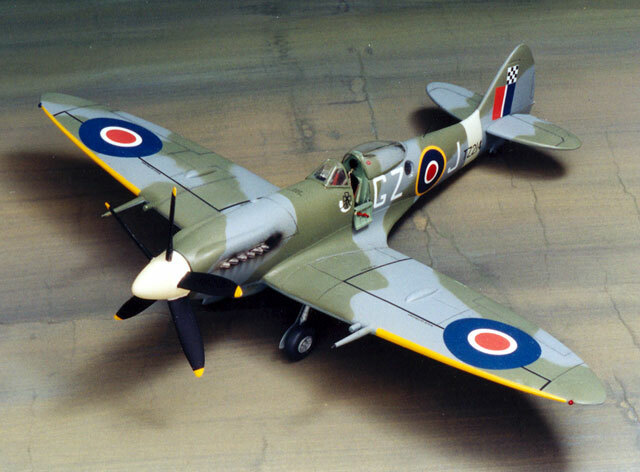 The canopy is from the new Falcon late model Spitfire set. Krystal Kleer represented the camera ports. Paint was all Gunze Sangyo. 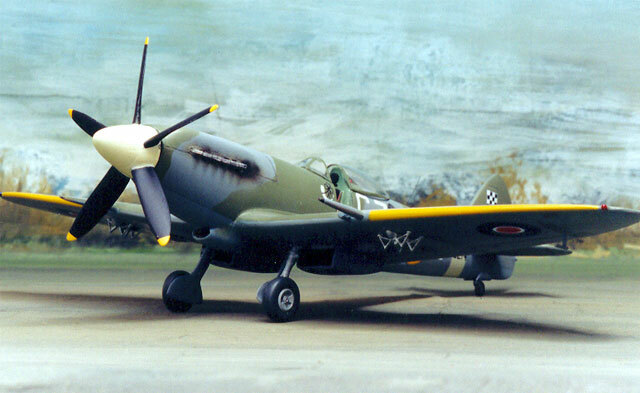 I used the kit markings with Extradecals roundels. 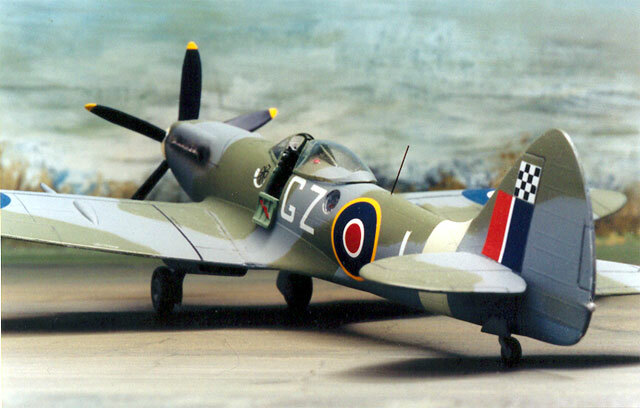 This old vacformed kit appears to me to be the best-shaped late-model Spitfire that I have seen, including all the injection moulded offerings.